With a starting price of $32,900 MSRP, the new Kia Stinger combines high-powered performance with a high-quality interior, you’ll want to drive this sports sedan around the Mascoutah area as often as possible. The interior features an aircraft-inspired cabin and available Nappa leather trim seating, and an available Harman/Kardon® premium audio system with 15 speakers for a comfortable and entertaining ride. The Stinger delivers serious performance from a twin scroll turbocharged 2.0L four-cylinder engine, and it also delivers serious safety with the Kia Drive Wise safety suite, which includes blindspot collision warning and driver attention warning. 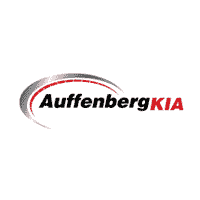 If this sounds like the vehicle you’ve been looking for in Smithton, make your way to Auffenberg Kia to learn more about the new Kia Stinger and test drive one of the five configurations around O'Fallon. Contact us with any questions about this sports sedan or how to customize your Stinger with Kia accessories.